Last summer when I was in New York, a French acquaintance sent out a missive, looking for an Angel Food Cake pan in Paris. I’ve been thinking about making one for a number of years. But there are a number of American baked goods that don’t quite translate, and this classic cake – made like a big, baked meringue – well…I was pretty certain this would be one of them. For one thing, the French don’t normally do tall cakes (except for le Croquembouche, a tower of cream-filled pastry puffs, which is generally reserved for weddings), and the local palate would probably find Angel Food Cake a bit on the sweet side. And indeed, for years, I didn’t like Angel Food Cake either and tended to avoid it. Until one day, I was eating a slice, and decided that I did like it. In fact, I realized that I loved it. And now, for the rest of my life, I have to spend my nights staring at the ceiling over my bed, filled with regret for the years that I went without it. So I told her that since I was in the states, I would pick up a tube pan and bring it back for her. As I rifled through the vast collection of cake pans at the cookware store in Manhattan, I thought about getting one for myself, too, but she’d said that she just wanted to borrow mine (she was working on a food styling project), and she’d give it back. She kindly returned it last August, however I’ve felt bad because I’ve been holding onto this pan ever since she did the door-to-door drop off, but I haven’t gotten around to whipping up the cake. However after a week-long obsession with a certain French dessert that I’m working on for a book project, I found myself with an extremely large tub of jiggly egg whites in my refrigerator. And rather than subject my Frenchman to a week of egg white omelets, which he kindly put up with during the time I wrote my ice cream book, I let him eat cake. I prefer my Angel Food Cake in its natural state, flavored just with a touch of vanilla, although it lends itself very well to a big heap of sugared berries, or other fruit, on the side. I made a plum-raspberry compote, adapted from Ready for Dessert, which is made by making a sugar syrup, adding a vanilla bean, then dropping plums and raspberries into the warm syrup. The plums are a nice, tangy contrast to the fluffy-sweet cake.An American astuce (kitchen tip) is to add cream of tartar, (which is not the same thing as tartaric acid), which helps stabilize the egg whites. I’ve not seen it in Europe so I bring it back from the states (along with cake pans!) You can leave it out if it’s unavailable. 2. In a small bowl, sift together the flour, 1/2 cup sugar, and salt. 3. 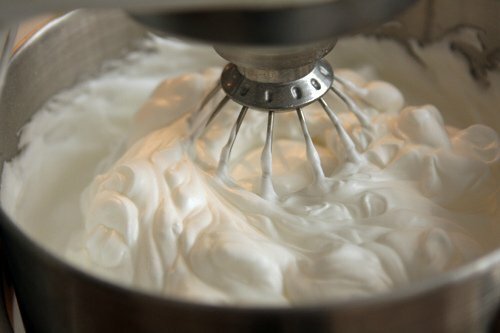 In the bowl of an electric mixer, begin to whip the egg whites on medium speed. When they become foamy, add the cream of tartar and lemon juice. 5. With a rubber spatula, then fold the flour and sugar mixture into the whites gradually, a small amount at a time. 6. Spoon the batter in the tube pan, smooth the top, and bake for 45 minutes. Remove from the oven and immediately invert the tube pan over a cooling rack. If the pan doesn’t have “feet”, set it over the neck of a heavy bottle or overturned metal funnel, using the center hole of the pan to hold the cake, until cool. First to comment? Yipee!! Am almost stalking you :) This looks so yumm..Visiting Paris in September from Basel…Holler if you want anything from across the border..
Is there something you could suggest as an alternative to cream of tartar? 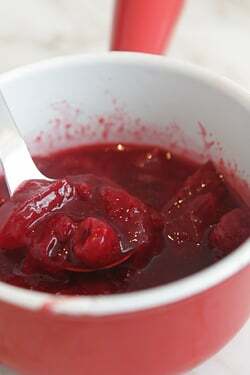 Oh, that looks lovely, the plum- raspberry compote is such a divine colour. 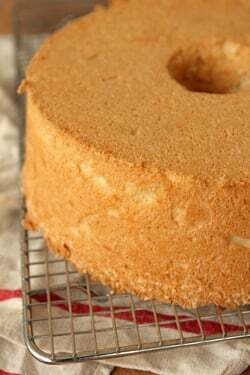 I love angel cake, but even more, its close relation, chiffon cake. Just that little bit moister and a tad less sweet. The lemon chiffon in Rose Levy Berambaum’s Cake Bible is heavenly. And having bit the bullet, and forked out for a new Cuisinart ICE 100, the egg whites are amassing in alarming quantities. But truly, don’t you think that Angel or Chiffon, that it’s just fun to make a cake that you can hang up-side down on a wine bottle? Cheers from the Edge of the Map, Karen. I’ve been wanting to make this for so long! It looks lovely. Thank you for saying which flour you use in France…I seem to spend an inordinate amount of my life here trying to figure out which flour(s) to try in my French kitchen for American recipes. Thank you for reminding me: This time of the year was meant for angel food cake and berries. I actually found cream of tartar at Michaels crafts- weird I know but it calls for it in royal icing and I went on a massive hunt and found it in a craft store…. good luck! How do the French feel about meringue pies? This is so beautiful and sad as I used to make this cake for my husband every birthday. Then he learnt he was Gluten intolerant and I was probably killing him with love. After making this in the States for years with a box mix, I was surprised to find out how good and easy it is from scratch. I always make lemon curd with the yolks and serve it with the cake. It’s pavlova with flour in it! Kathryn – make pavlova. Google for recipes. Don’t know how anyone can have difficulty using yolks, in addition to ice cream and lemon curd, there is mayonnaise and hollandaise, and custard. All delicious. Angel Food is my favorite cake in the world, even plain it’s so delicious. This time of year a few peaches on the side makes it the epitome of summer pleasure! My mother made angel food cake when I was a little girl and the name totally captivated me. The funny thing is that I don’t even remember loving the cake all that much, but I ate it anyway. It was angel food after all! I’d eat it today just to remember that magic. Anthony + Oll: The cream of tartar really helps stabilize the whites, but you can go ahead and not use it if it’s unavailable. The best “substitution” is whipping the whites in a copper bowl. There is some chemical reaction that happens when whites are whipped in copper, which stabilizes them. Kathryn: Give my Gluten-Free Brownies a try. I love them. Lovely, that cake is. A while ago I bought a mini angel food cake pan. It’s the same thing — center tube comes out, it has feet so you can place it upside-down on the counter — but it’s half the size of a regular angel food pan. I always found the “12 -16 egg whites” so daunting. It’s one of my favorite cake pans, and you just answered the question of what to make for dessert when my nephew comes for dinner tonight, thank you. Cream of tartar is available in any supermarket here in Ireland and the UK, it’s one of the raising agents for scones (as a substitute for buttermilk) is it not available on the continent? Your cake is beautiful!! Angel Food Cake is by far my favorite cake!! I’ve never had angel food cake but I already like it, cause it’s there to use up the excess egg whites! LOL When I have excess egg whites, I just make an egg white chocolate mousse! Yumm! Question: won’t a bundt pan work instead of the special tube pan? 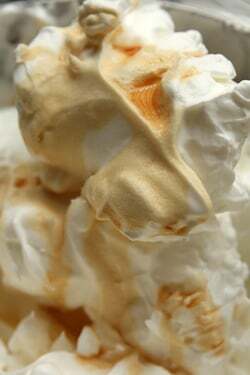 That is possibly the most beautiful picture of whipped egg whites I have ever seen. Oh I am in love with this cake and I am sure it will love me! Will make it this weekend. Hi David, I’ve been making Angel Food cakes in Paris with far less success than I used to have in the US of A. Why? A friend informed me that the fresh eggs we get here as a matter of course are not ideal for this cake. Letting the eggs age just a tiny bit adds loft and avoids dampness. You’re probably aware of this already, so excuse the know-it-all-ish tip. Also: for the ultimate secret ingredient, read Nancy Willard’s The High Rise Glorious Skittle Skat Roarious Sky-Pie Angel Food Cake. Great kids’ book, and your column brought back dear memories of reading it to mine. We feel in love with this cake after our friend in Connecticut made it for us last year. I bit the bullet and sent off for a tube pan from Amazon UK (at much expense!). Am unable to purchase cake flour in the UK – so have resorted to making my own – for every cup of plain flour, removing two tablespoons and replacing it with two tablespoons of cornflour (cornstarch) – it is more than a little ‘faffy’ as it all has to be sifted six times. 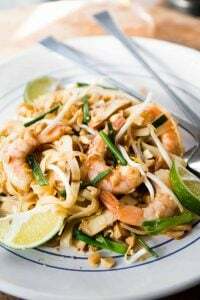 I also use a carton of pasteurised egg whites (available from Waitrose or Sainsburys in the UK) so don’t have to worry about dealing with egg yolks. My husband also likes it extra lemony and a good helping of vanilla, frozen yoghurt and a berry compote. I made it a couple of weeks ago for dessert for friends and they thought it’s like eating clouds sprinkled with fairy dust!! They went home with what was left of the cake. I also slice it into portions and freeze it in freezer paper, it thaws in minutes. Love this cake!! This has always been my father’s choice for a birthday cake, and my sister’s husband makes an amazing angel food cake from duck eggs (they have a farm of sorts). I wonder how it would work gluten free……..
Glad to read that you have joined the league of fans, finally. Reste tranquille – the French love angel food cake. 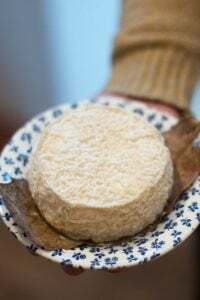 I grew up in Fontainebleau and my mother made the mistake of serving it once at a reception and the requests never ceased (although her affection dimmed somewhat due to the enforced repetition). I fear however that you are using a knife to cut it, which in my family, would have led to hostile sneers focusing on whether you were qualified to entertain properly. 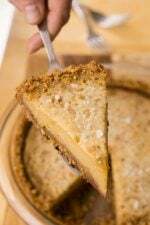 It is meant to be carefully separated using a pronged implement – the prongs being higher than the cake – which allows the slices to retain all their glorious height. Thus it is torn rather than cut. The ragged appearance of the slices enhances their ability to capture whatever glorious sauce is applied. May I recommend, when fruit is not at its best, a grand marnier chutney of bosc pears, cranberries, red onion, sugar and vinegar topped with GM infused whipped cream? Deborah: I find the eggs here somewhat fresher, depending on where, and when, you buy them. Because they don’t refrigerate them in grocery stores, their shelf life is far more limited. So I tend to buy eggs as I need them. I find the yolks a lot more orange-colored than the pale ones in the states, although I find the whites more runny. I do find my angel food cakes here have larger holes. For whipping, some pastry folks keep their egg whites uncovered to get rid of some of the moisture. Dina: The problems with a bundt cake pan is that they are usually non-stick, and angel food cake rises because it grabs on the surface of the cake pan. And also they have designs and crevices, so it’d be hard to run a knife around the outside to get it out. Lesley: I would just caution folks using pasteurized egg whites to read the carton carefully and see if they are suitable for whipping. I learned (the hard way..) when I was doing a demo in front of a bunch of peoplep and the whites just went around and around and around (and around and..) the mixing bowl, until I realized that they couldn’t be whipped. I was always intimidated to make angel food cake here at high altitude, but recently was coerced into making one. The recipe was nearly identical to yours and it turned out perfect with really no tweaking at all! Now I’m inspired to make another, thank you for posting! By the way, I love the bowl! I am making one today for a friend. I use regular flour though, less 2 Tablespoons per cup. I have found that this substitution works great and it makes the lightest angel food cake ever. I make this cake quite often, it really is my favorite. I always asked for it for my birthday cake. My Mom made the best angel food cake, when I make one now, i always have my mind on my Mom. I love this cake and tend to pair it with whatever seasonal fruits I’ve cooked down into a sauce. Also for the person asking about egg yolks, Rose Levy Birnbaum in the Cake Bible has a section listing things like recipes using all egg yolks. all egg whites; no leavening etc. Very useful. Sigh…this looks so delicious, and angel food cake used to be one of my favorites before I was forced to go gluten free. I think this might be one of those few recipes that cannot be adapted. Love this cake… And all things egg white actually! Needed a dessert for the weekend- thanks for idea. I have become the official dessert maker for our gatherings and I try to come up with new things and ideas. I know our group tends to love all things chocolate, more than I, so I try to make 2 things- one chocolate and one fruity or custardy type of dessert. One favorite is the peppermint patty brownies- got the candy recipe from the Perfect Scoop book and have had multiple repeat requests. So this will make the menu this weekend for certain. Thanks for your ongoing inspiration. I only tried to make angel food once. I baked it for the suggested time. It was beautifully lofty and brown – and raw inside. How do you test for doneness with angel food cakes? I made my first angel food cake this year for a friend who wanted it for her birthday–no pressure there! But it turned out perfect, so now I know I can do it. It is so sweet, though, that I don’t think it would appeal to your European friends. Did your Frenchman like it? I thought your Savoy Cake in June was very much like ultra angel food. I made that and had some difficulty getting it out of the pan even though it was still beautiful. I cut it into pieces, lined a bowl with them, filled it with berries and whipped cream – it was really wonderful. Maybe I’ll make this one too. Welcome to the club David!! Truth be told, Angel Food Cake wasn’t my favorite… and then I married my husband who insisted that his birthday would not be complete without Angel Food Cake with his Gran’s frosting.. and I became a convert as well! So, for the last 23 years I’ve made an Angel food cake every Christmas morning with his Gran’s frosting – which is actually fabulous with the cake – it’s a boiled frosting that just glazes the cake – I make it with a dark chocolate and love the contrast of the bitterness of the dark chocolate with the cake! Someone else already noted this..but you are remarkable at making statements about food that stick in the mind forever…today, for example, “I have to spend my nights staring at the ceiling over my bed, filled with regret for the years that I went without it.”..Please, your photos and recipes are the best, but your comments about food can’t be matched by anyone. A desert from my childhood: left over angel food cake (if there is any) toasted with ice cream and chocolate sauce! Margo and Kathryn- Alice Medrich has several egg white and nut based “torte” recipes in her “Sinfully Easy..” desert book. They come out very light like angel food. Angel food is so perfect with fruit, what a lovely compote! Your photos are making me want angel food cake! I usually like to make a chocolate version, though, and sometimes pour Bailey’s over it. I would think that the French would like angel food cake. It doesn’t seem super sweet and it isn’t super moist. I find French cakes rather blah because they always seem dry to me. Rose Levy Beranbaum’s Cake Bible has a recipe for a lovely Chocolate Angel Food Cake which I really like because somehow the cocoa cuts the sweetness and balances it. Do try that the next time you have a surplus of egg whites. Any tips on getting them out in one piece? PS – you have to scroll way down to see the photo! i like the compote.. and can imagine the tangy plums ..complimenting as well as contrasting with the cake!! lovely!! The BEST way to eat angel food cake is toasted. With butter. Food 52 has a double use for that tube pan. There is a recipe that uses it to roast chicken…just to double justify the purchase. I have always loved Angel Food Cake. I grew up eating it – my grandmother was expert Angel Food Cake baker. A couple of years ago my daughter learned to make it and now it is my special request for her to make when she is home from college. It’s a SIMPLY perfect cake! So nice to see this cake here! I first had it when I was about 9–my girlfriend’s grandma used to host a Ladies Tea once a month and this was one of her standards. Crusty crunchy sweet on the outside and heavenly white fluff within. Served with fudge sauce in the winter and berry compote in the summer. Exquisitely simple and classy, as was her style. When I started baking as an adult, one of the first pans I bought was a 9″ footed tube, so I could make her cake. I’ve not made one of these in a very long time and since purchasing the Cuisinart Ice Cream maker, I’ve got all these egg whites in my deep freeze! I have made some lovely pavlova’s but will definitely make an angel food cake next. For those struggling with the excess egg yolks, who haven’t yet succumbed to the joys of home made ice cream, my next go to recipe of choice for those, would be Creme Brule – one of my favorite things to serve to guests. Once again you have given me a project to work on during my next day off!! Angel food cake I thought was something from Betty Crocker. Just add water. I am glad I am wrong. David, remember the Baker’s Dozen Angelfood cake meeting? that was wild-one recipe, 37 different cakes! Great comment by Judy Blackman about the angel food cake prongs. My Mom had one (probably my grandmother’s since it had a red Bakelite handle); I’ve been searching for a replacement. Until I find that perfect tool I use a bread knife to slice, without smashing, that heavenly goodness. I use a bit of lemon or orange zest to tone down the sweetness, or a splash of Grand Marnier–great with berries. Try some Kahlua with a chocolate cake. I have been making angel food cakes for 60+ years, and your recipe is essentially the one I have been using, except I add, in addition to the vanilla, 1/2 teaspoon of almond extract and omits the lemon juice.. I suggest that you try this, especially when you serve berries with the cake. I noted that one of your correspondents noted the use of a pronged implement, looking like an oversized afro comb, for cutting the cake. Two forks can be used, gently tearing the cake into slices. And some people find unflavored dental floss a further substitute. I’d like to second the recommendation for Rose Levy Beranbaum’s Chocolate Angel Food Cake recipe from her book The Cake Bible. Pretty much a command performance for at least a couple of birthdays a year at our house, served with fresh strawberries and whipped cream. It’s an excellent cookbook, I love her analytical approach. 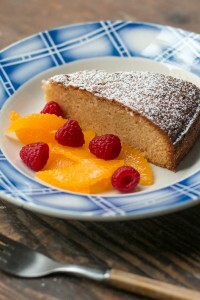 You can use almond flour (and maybe a little wheat flour) and get a very good cake. Admittedly not angel food but good enough for mortals. Angel cake – divine. But PLEEEEEAAAAAASSSSSE can we have your recipe for gateau St Tropezienne (the brioche with creme patissiere from St Tropez) – I am completely obsessed with it, and would LOVE the Lebovitz version. Just found an angel food pan while cleaning out the garage last night. Between that discovery and your post today, I think it is inevitable. Thank you for the nudge. You can find them at thrift stores and so forth in the states, because they’re not commonly used. I used to see them all the time – glad you unearthed one in your garage! Looks absolutely gorgeous. I know it sounds almost sacrilegious to do to this cake, but I love lightly toasted angel food cake. The warm crunchy outside and soft fluffy inside create a taste treat. Thanks for sharing. Melbourne Australia : 8.04 am.I have a pan (god knows from where and how) I have a recipe, ingredients no issue. I just have this concept of cake as either a sponge cake or something denser.In the end, I think its the pan that bothers me with its weird base, or is it the top and why does it have the little standyuppy things? You yanks, complicated the English language and now making my baking life fraught… plse explain. Your blog represents my fantasy life, David. Thank you. Question about the angel food recipe. Is there a word or two missing from the note? “You can replace 2 tablespoons of the flour with corn starch”–which flour? Not cake flour, right? because the recipe calls for cake flour as is. Is this a way to use regular flour in place of cake flour? @peter watson, the little standyuppy things are needed because the cake must cool ‘upside down’ or inverted as instructed, or it will collapse into a dense blob of a cake and that’s not the point of angel food cake. I have the same feeling about chiffon cake, the fat sister! I just learned and tasted 4 years ago… since them I’ve been asking myself why, why took so long. Angel cake, I tried once… and meh. Ok, the recipe didn’t work at all. I’ll give another try. I use the same trick about cake flour, works very well. But in my case, almost all the flour available are low-gluten… the regular one is “cake flour” by “accident”. Yes, making bread is a nightmare. Looks wonderful! Angel food cake is my absolute favorite, with real whipped cream and slightly sweetened berries. Mmmmm…. ‘Ode to the Joy of Angel Food’…allow me to hum a few bars…Actually, I can’t carry a tune, but I can be found jumping for joy when I discover one of these precious cakes before me. I don’t make them often enough. They are so versatile. My mother-in-law pokes holes into hers as it cools. Returning with a spoon to dribble strawberry jello into the narrow caverns and then back to the fridge to set the jello, then out again to decorate the plate with large, fresh strawberries. Then she sets to whipping heavy cream to crown her lovely angelic embodiment, With cream set and scooped it’s then time for the stawberry coulis. It freefalls over the cascading masterpiece, sending cream and berry and angel kisses to all who intake of her loveliness. I grew up with a mother instructing me to follow the directions carefully, the ones that Betty Crocker has etched in all of her boxes. I tried to get her lovely results, but all I came back with was the sweet and soft ‘kleenex-like’ tissue, feel. I remember wondering what all the hooey was about when folks asked, “Well, did you use a hint of almond in that batter? '” … “This someone shook that McCormack fake white imitation stuff in here!”… … And then one day sweet bliss hit me. I read where someone actually zested a lemon and thru it along side a bit of coconut and almond oil. Well, heck, I think I’ll score me some rosewater. This lovely little bouncy fluff will surely respond to the likes of all things mystic. This is my story, I”m stickin to it. I’m dang glad David woke me from my fried frizzle summer over here. I don’t normally think of this cloud puff until fair season blows towards me. There’s only one question burning bright before me: David do you have an Angel Food Ice Cream Recipe? I made an angel food cake this weekend for my nephew’s birthday. Served w David’s vanilla bean ice cream. Divine! I used the yolks for a bread pudding. Homemade angel food cake made from scratch is the only kind to eat because you can control the sugar, the vanilla, the texture — I have been subjected to a few commercial angel food cakes and now I just say no to them, even though I am an impatient person and find all the sifting and folding tedious (it’s worth it!). You can find that answer in the previous response to someone asking about using a bundt pan, which are usually non-stick. I found out when it was too late to get out of the relationship that the birthday cake tradition in my husband’s family was angel food cake. For his next birthday,I made one from scratch with a hand-held mixer and had sore arms for a week. His mother said it was delicious though. Before the next family birthday rolled around, I invested in a stand mixer – he couldn’t object since it was that or no angel food cake! Just with the birthday cakes for him and three kids plus various other family members that mixer got a lot of use. Then a few years later, my sister-in-law told me they all used a mix and hadn’t been able to figure out what I was doing to make mine so much better. I think she may even have meant that as a compliment! I had lost the recipe over the years but will be serving yours to the next birthday child in the third generation! In Norway I find cream of tartar in pharmacies, maybe other countries in Europe also sell it, just not in grocery stores? Lovely post, photos, and comments. 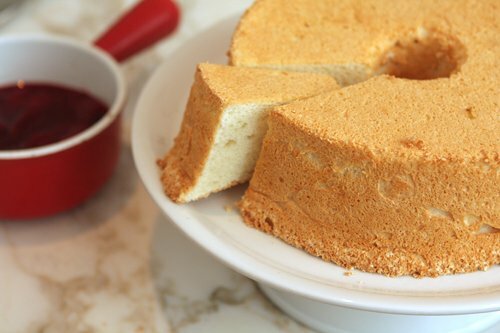 Though just a bite is enough to satisfy me because Angel Food Cake is intensely sweet and I am an umami mama, I still adore its haughtiness. Such elegance, such attitude–and altitude. It brings me vicarious joy to imagine that someone somewhere is indulging shamelessly in Angel Food Cake. There must not be a trace of yolk in the whites. This believer now opens each egg into a clean custard cup before dumping it into the beating bowl. When they say “fold” the dry ingredients into the egg whites, that is exactly what they mean. I do it with a clean large spoon whose contours sort of match the bottom of the bowl – can also use a clean spatula. 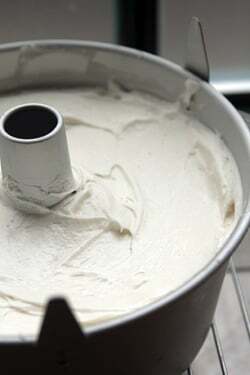 Cut down through the batter, turn and come across the bottom of the bowl and up the side and ‘”fold” over the top. I turn the bowl about a quarter turn between each “fold”. No stirring! My late Mother made gorgeous angel food cake. 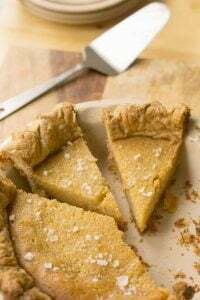 In addition to the vanilla, she also added about 1/4 teaspoon of almond extract (she also used a little bit of almond extract in her cherry pie, which was the best). Almond is strong so should be used judiciously. David, your mentioning the copper bowl method reminded me of a great Julia Child television program where she did a “competition” between egg whites beaten in a copper bowl and in a regular stand mixer. (It is possible Jacques Pepin was a guest that day – not sure. Anyway, when all was said and done she judged that there was absolutely no difference in the result so laughed and said to go ahead with the mixer. Sensible Julia. I use Italian prune plums for compotes like this. Short season. We get them in September and October, but they can be halved and frozen very successfully. Costco usually has them in their 4 lb. clamshell boxes. Laurie Colwin loved them and had many recipes for using them, all wonderful. Interestingly, from what I’ve read, no one has been able to pinpoint anything about copper bowls – although I have read that the reaction of the whisk hitting the copper may release something that helps stabilize egg whites. (I’ve also read that cream of tartar shouldn’t be used with copper bowls because the egg whites will turn green.) I like almond extract but some people have a sharp aversion to the taste of it. I think it needs to be used discreetly, and I do add a few drops to things, like fruit compotes and so forth. Peter Watson, a good angel food cake pan is equipped to stand upside down (another important thing!) when it comes out of the oven, hence ethose little legs around the top. Often the cake rises too tall for even those little lets to work. Carefully suspending it upside down on a bottle neck (through the tube) will work. Just be sure it is propped and balanced, or kaboom. You don’t want an angel food cake to settle back down into its pan as it cools. How fast the summer ends. What a great dessert! Angel food cake is so special to me. My birthday is on Christmas and every year, my grandmother bakes me an angel food birthday cake and tops it with homemade icing. I always eat as many slices as I can because my family will finish it off in less than a day! In the 1950’s angel food cake was often accompanied with slightly sweetened, colored and flavored whipping cream; and sometimes into that was folded crushed fruit, peppermint candy or peanut brittle. I see you mention using a RUBBER spatula. The vinyl/plastic ones are made with petroleum so they are death on rising eggs. None of the moist ingredients in these recipies should touch plastics. Unfortunately, sticking to the sides of the pan is part of the success of a rising angel food cake and some people don’t grease the sides of any of their cake pans to get a good “climb” – for lack of a better term. Thanks for the posting – love angel food cake. I agree it’s also great topped with berries. I top with strawberries, blueberries and freshly whipped cream for a quick 4th of July dessert. Just now thinking the red, white and blue dessert would be nice on Bastille Day as well! For years growing up my mother was (in)famous for her “Creative Cakes”. 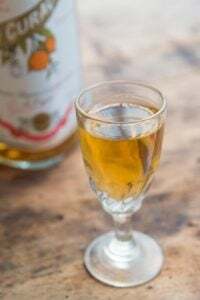 They were typically made with whatever was in the cupboard…and boasted some flower arrangement on top of assorted weeds and sundries to cover up the fallen olive oil and wheat germ concoction. The first time I had Angel Food Cake I thought I’d fallen into a giant bouncy house of deliciousness. And now…I need to make one. Hi David, About copper bowls – does the one you use have a sealant coating? I found an antique English copper bowl and was wondering if it was safe to use for whipping egg whites. Also, about the tube pan with feet — is it required to invert it onto a cooling rack vs. a counter top? Thanks for the advise. I love your blog. I’ve always used unlined copper bowls (I don’t have one in my kitchen anymore, due to space concerns) – you can cool the cake on a countertop but make sure that it is heat-safe as the “feet” of the pan are very hot. A cool rack does have more air circulation, though, so that’s recommended. 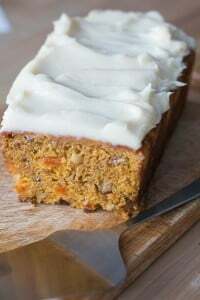 This has always been my favorite cake, both to make and eat. It’s actually very versatile. Emily Luchetti has a wonderful recipe with espresso powder and chocolate chips in her Four Star Dessert book which is always a hit when I make it. FYI Cream of Tartar can be found in Paris, I buy it at the Epicerie Anglaise, 5 cité du Vauxhall dans le 10ème, métro République. When a proper pan isn’t available, it works well to make half a recipe in an ungreased loaf pan (old fashioned pyrex or metal, but not a nonstick pan) and then rig something so you can rest the edges on a height of cans or boxes to hang it upside down to cool. You can also reduce the amount of sugar significantly with no harm. I’ve found cream of tartar in the upstairs food section of WHSmith bookshop. For some reason, I was under the impression that angel food cake was h.e.l.l. to make. Your recipe makes me want to attempt it. Kristen, if the directions are good detailed ones and followed to the letter, an angelfood cake is one of the easiest to make. Major bugaboos: The business about everything having to be scrupulously clean so that no fat touches the egg whites (not even a trace from bowls, beaters, etc, and not a speck of yolk, which is fat. The folding technique. This keeps the egg whites lofty. Stirring would break them down. I remember those combinations of whipped cream and fruit that were popular in the 1950s. But not the food coloring. (My late Mother loathed food coloring.) I remember making a delicious cake for ladies’ parties – angelfood cake frosted with whipped cream into which very well-drained crushed pineapple had been added. (A small can.) The cake then went in to the refrigerator where the whipped cream sort of melded itself into the cake. It was lovely. I also had a great dessert in a very posh home – angelfood cake split horizontally into three layers and layered with whipped cream and strawberries between two layers and whipped cream and the pineapple between the others. Some whipped cream on top and sides. Chilled. Delicious. 99 comments! should i add my two cents? loved the layered idea above. i did similar this summer with min store bought versions. toasted them first to get a nice caramelization. no cream, but let’s face it, a nice lower calorie dessert. surprising really, that more tricked out versions don’t abound. add your dill-ish post got me started. i just put some in my tuna salad with scallions and celery – takes the edge of the strong flavors of the other two. yum! and it seems to me that dill was wonderful in a cucumber mustard vinaigrette (accompanying poached salmon) that i used to get in NY, in my uncles garlicky summer squash pickles and garnishing deviled eggs of course!!!!! i would come here more often…. but ever leaving again is the hard part! bon weekend! yes i meant mini store bought versions. thx for not making me do anti-robot stuff! For gluten-free folks, angel-food cake actually adapts really well, I used cornstarch, tapioca starch and white rice flour the last time I made one. Its a little more *boingy* then a traditional one…. but you have to remember, the main structural component is the egg whites, not the flour. I teach kids how to eat healthily and how to cook great food, and one of – if not THE most – popular recipes this summer was Angle food cake with ice cream and fresh berries. Once baked and cooled, I remove it from it’s tube pan and slice it into three parts horizontally. I then re-assemble it in a springform pan, alternating the cake layers with vanilla ice cream and berries with their juice that have sat in a little sugar for 20 minutes. I then weigh the cake down with a plate and a can of something heavy, and pop it into the freezer until ready to serve. It is a hit every time ! A little late to this party and, always the pedant, couldn’t resist the crème de tartre challenge. 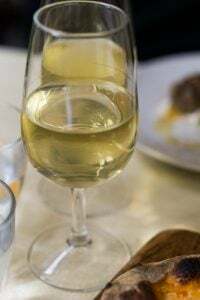 It is certainly available easily in the UK and it turns out it is a by product from the wine industry so really ought to be available in France. Unable to let my sleuthing rest here, it seems that, if otherwise hard to find, it is available in many French pharmacies. 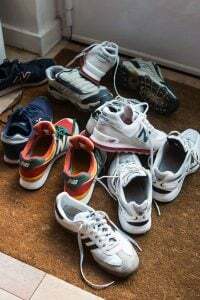 Otherwise, Harold McGee suggests, going along the copper bowl route, you can “add a pinch of powdered copper supplement from a health food store – the foam stays glossy and never develops grains. A silver plated bowl will do the same thing”. Thankfully, he also suggests a non metallic alternative; the addition of an acid will work the same trick – half a teaspoon of lemon juice per egg white will do the same job if added at the beginning of beating. Here endeth my lesson for the day. The cake, by the way, looks fabulous and, if I can just find a suitable pan/tin I am going to be giving it a go the next time I have a fridge full of egg whites too. @Kathryn… let your annual tradition resume… I have a delicious gluten-free version of Angel Food Cake at salvationsisters.com. I don’t even tell people it’s gluten-free anymore because folks can’t tell the difference – it’s that good! Promise. I never noticed that we French never bake “tall” cakes, how true. I wonder if it’d work in a kougloff pan, I’ll have to give it a try next time I go to La Grande Epicerie and pick up an egg white carton. I was wondering why there weren’t any tube pans in the cookware shops here! Well no matter, I will just have to have friends pick one up for me when they’re in the states. I suppose this means I’ll need to make a lot of creme brulee in order to generate enough egg whites for an entire angel food cake! i do have a deep love of angel food cake. so light and pretty. Check out Rose Beranbaum’s Chocolate Flecked Angel Food cake from Rose’s Celebrations, if you can. Grated unsweetened chocolate in a regular angel food cake. It cuts the sweet perfectly. I promise it is the most delicious idea! this cake looks really great! :) yummi! Slide a piece of leftover angel food cake briefly under a broiler or toast it. Thanks for a wonderful and easy recipe! We had guests today and it was a huge hit! When I was a teenager, I made angel food cakes to sell at the farmer’s market. Even though I have made hundreds of angel food cakes, they are still my favorite. Love the addition of salt and lemon juice in your recipe! Most recipes also call for almond extract, half vanilla amount. Sifting the flour with 1 cup of sugar is also essential. However, I thing you forgot a fundimental aspect, one that makes most attempts fail: The MOST important thing is DO NOT grease the tin, and DO NOT use a nonstick pan. The cake needs to cling to the pan as it bakes and raises up. As a cake cools it tends to fall, hence turning it upside down to cool. If you have a non-stick pan, it will slide right out! To get the cake out of the pan it needs to literally be ‘cut out’. You can run a metal spatula around the outside and remove the sides, then do the same on the bottom. I find this to be the tricky part.. to remove the cake while keeping a pretty brown edge. I think this is why most angel food cakes are frosted.. hahaha. I love this recipe… However, I’m not typically in a situation where I have 12 egg whites on hand. I’d have to also have 12 egg yolks on hand and that would mean, I suppose, that I’d have to make multiple batches of custard-style ice cream. That would be frowned upon in my household, where freezer space is at a premium and high calorie sweets are beloved, but in small quantities. So, is it possible to use the egg whites that are sold seperately in the grocery store? Trader Joe’s, for example, sells a container of just egg whites, but I don’t know if they are too old or otherwise inappropriate for this recipe. Anybody have any experience with this or other tips? Along the same lines as Mike’s question, I wonder if one could use meringue powder (reconstituted) instead of fresh egg whites? I love angel food cake, but collecting that many egg whites just doesn’t happen for me. Lee and Mike: I’ve not used reconstituted egg whites but since there are so many egg whites in this cake, which provide both flavor as well as texture, I’d be concerned that the taste of them would not be very delicious. You can buy containers of egg whites in certain places and countries, but be sure to read the label to make sure that they are suitable for whipping, as some aren’t. Armelle: It would work in a kugelhof pan or even a loaf pan, as long as you turned it upside down to cool. It may be a bit of a chore getting it out of the kugelhof pan with the ridged surface, but let me know if it works out. Just lovely. Will make for husband’s birthday. He loves angel food cake. Michael Ruhlman makes a makeshift angel food cake pan by placing a pint glass/heatproof glass in the center of a springform pan and then pouring in the batter. Could be great, but I haven’t tried it (yet). Didn’t you find the Cream de tartar at G. Detou? I believe they have it. 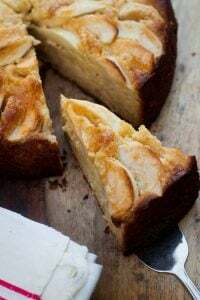 The recipe looks delicious but I’m surprised at your difficulty finding a suitable pan in France – Angel Food Cake is indeed known to non-American home bakers in France as Gateau des Anges and the pan is available online for around 20euros – although admittedly not widely available. Search Google.fr for “moule Gateau des Anges” I’ve never made it myself but as a keen ice cream maker it’s always good to be reminded of another way to use up egg whites. I suppose at a pinch you could also use a savarin mould couldn’t you? I also wanted to say how much I enjoy your blog David. You are a very talented and amusing writer and as a fellow foreigner in France I love your musings on this wonderful and occasionally infuriating country and people, just as much as your excellent food writing. Please never stop! I really enjoy you’re posts, I’ve been reading for a while now. I wonder if I may be able to bother you with a request. When you’re working on pastries do you weigh your ingredients or do you always measure? I ask because I always weigh, and I would appreciate it if you posted your weights (if you have them). Steve: All my recipes on the site, and in my books, are in standard and metric measurements – as is this one. If you’re not seeing the metrics, perhaps refresh your browser? (I don’t list weights for teaspoons or tablespoons, which is common in France and in French recipes that are metric, where “soup spoon” and “coffee spoon” are used. Can I ask? 1/2 t of which kind of salt? table? sea? kosher? thanks! Angel Food has always been my favorite cake. I like the fact that it is usually NOT covered with sticky frosting. Maybe just some fruit or preserves. Yum. Thanks for sharing your recipe. 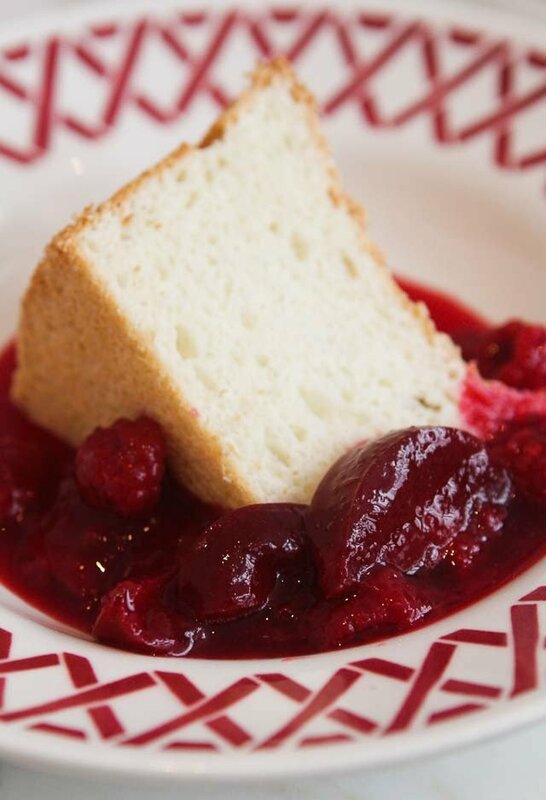 Angel Food Cake is my favorite cake only because it’s inextricably linked to childhood memories of my mom, who does not cook well or often, working so hard to bring together a lavish Easter dinner for my father and brother and I in the 80s. I’m all grown up and moved far away and I imagine if I could ever convince Mom to get on a plane and visit me in a small Texas town, I’d ask her only to bring that same light and airy cake and beautifully dented and loved tube pan which I imagine hasn’t held AFC in years but still enriches my best family memories, persisting despite the dents of life and lack of cake. Thank you David. I must call Mom and check for a flight. Hi David. I made my first angel food cake today, using your recipe (halved for a 7inch pan). It’s so different to other cakes that I make and I don’t think it is going to become one of my favourites, as I tend to prefer cakes with more flavour and texture, but I did really enjoy it with raspberry and blueberry compote. Thank you for introducing a new baking technique and a new tasting experience to me. I look forward to using my tube pan again. Hi. Cream of Tartar is easily available in the UK – you need to head over the Channel and do some stocking up! This looks delicious! I’ve never had any angel food cake but the one my mom made from a box when I was a kid, so I’m excited to try this. Can you tell me how long leftover egg whites last in the fridge? Thanks!